Digital Finishing Equipment, Digital Finisher – THERM-O-TYPE Corp. – Competitive digital finishing machines offer limited capabilities, producing only square cornered products with or without a single direction cross crease on stocks up to 15/16 pt. (350 gsm). Some models offer optional cross perforating, strike perforating and various combinations of in-line slitting, scoring, perforating and semi-slitting. 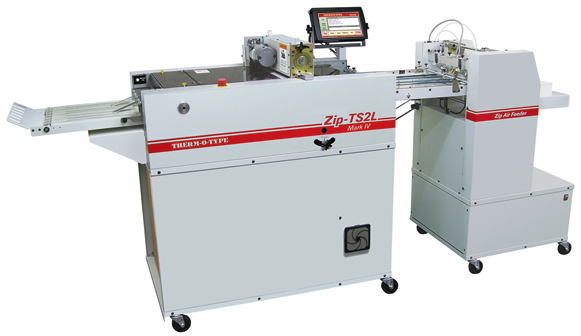 The Zip-TS2L Mark IV is the most advanced and capable digital finishing machine available, providing a wide range of features and capabilities that are unavailable on any competitive model.